I liked Octopath Traveler’s large cast of characters! Well, then it might be time for you to try a Final Fantasy game with an equally impressive cast! If eight is not enough, it might be time to try Final Fantasy VI. This entry has 14 playable characters. At certain points, perspectives even shift a bit, to showcase certain people’s adventures. In a steampunk world where Espers, magical beings exist, a young woman is freed from being a brainwashed tool and given an opportunity to join a group of rebels fighting against an empire with ill intentions. The first portion of the game primarily follows Terra Branford, the aforementioned woman, before temporarily splitting to follow Terra and Edgar, Sabin or Locke’s adventures. After a brief period where the full party reunites, things change again and Celes Chere, a former Imperial General, becomes our main character. 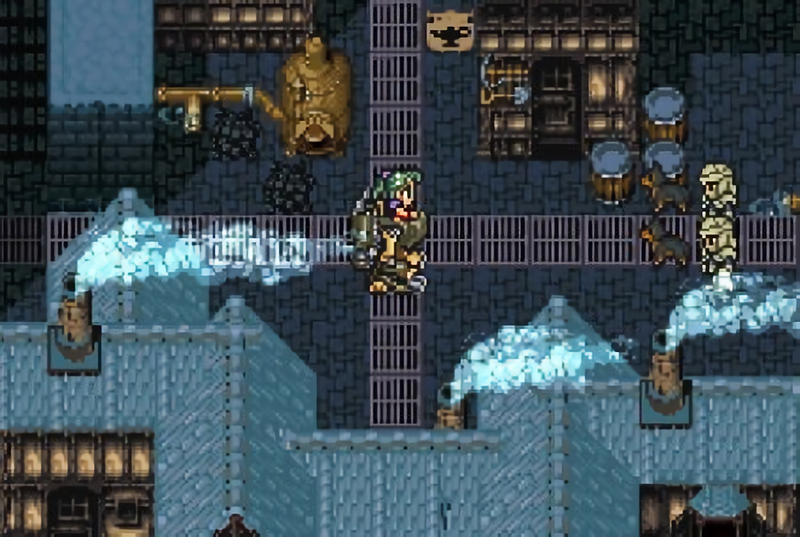 Final Fantasy VI originally appeared on the Super Nintendo, but it has also been ported to the PlayStation as part of Final Fantasy Anthology, the Game Boy Advance as Final Fantasy VI Advance, Android devices, iOS devices and Windows PCs. 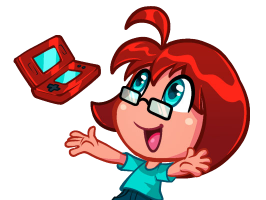 I recommend the Game Boy Advance version of the game, as it has the best translation, additional Espers, dungeons and spells, bug fixes and the original spritework. The mobile and PC adaptations are not as good, though the PC port has received some fan mods that make it look more like the original game. 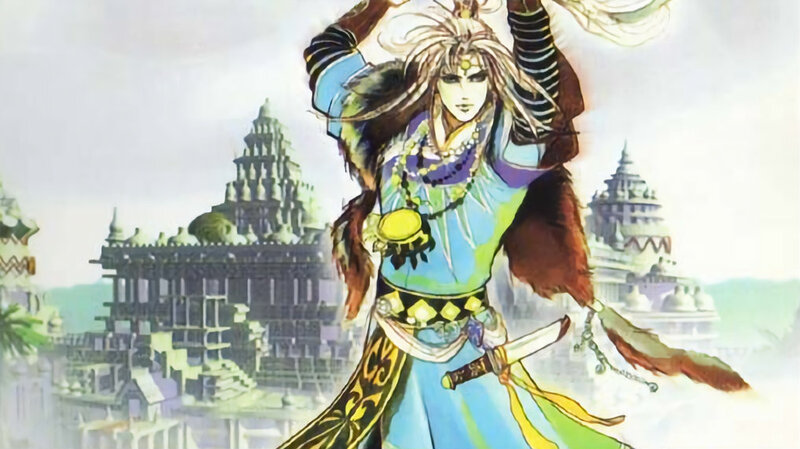 All versions of the game are available worldwide, though it was released as Final Fantasy III on the SNES outside of Japan. I liked Octopath Traveler’s battle system! Octopath Traveler has an unusual battle system where people can leverage BP to increase the power of an action they are going to use that turn. It lets you store up strength to increase the odds of success, hit multiple times or increase damage! Do you know which game uses a similar system? 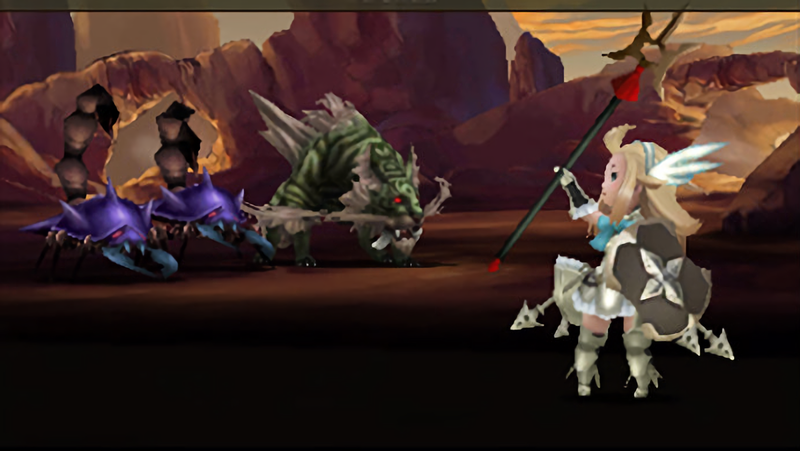 Bravely Default! You could consider it a spiritual successor. In this turn-based system, you can choose to Brave or Default on a turn. Using Brave, which can be done multiple times, lets you act up to four times in a turn. However, you then have to wait for that character to act again. That is, unless you Defaulted a few times before doing so, as choosing that option lets you choose not to act and store up that turn as BP to use later. It sounds familiar, right? As an added bonus, it also has 24 different jobs for characters to unlock and use! Bravely Default: Flying Fairy is a Nintendo 3DS exclusive. It also received a sequel, called Bravely Second: End Layer. 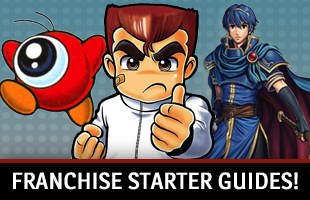 It is also on the 3DS, continues the story, has a similar battle system and has even more jobs. Both are available worldwide digitally and physically. 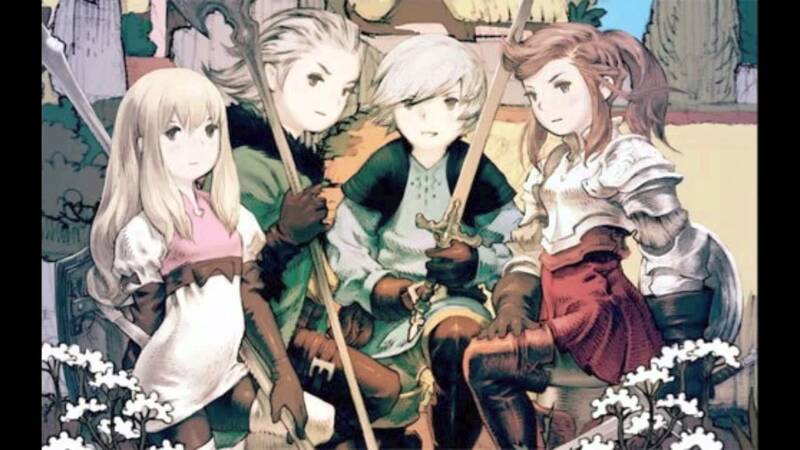 You might be thinking, “Wait a minute, why is this question here when Bravely Default: Flying Fairy was already suggested and has battle and job systems similar to Octopath Traveler?” Well, I wanted to call attention to the game that was the spiritual successor to Bravely Default! Final Fantasy: The 4 Heroes of Light was a callback to earlier Final Fantasy games, by introducing a Crowns system that allowed you to collect and change jobs. The hat you wear determines the skills you can use. There are 28 Crowns total: Alchemist, Bandit, Bard, Beastmaster, Black Mage, Dancer, Dark Fencer, Elementalist, Fighter, Freelancer, Hero, Merchant, Monk, Musician, Ninja, Paladin, Party Host, Ranger, Sage, Salve-Maker, Scholar, Scribe, Seamstress, Shaman, Spell Fencer, Storyteller, Wayfarer and White Mage. You can only find Final Fantasy: The 4 Heroes of Light on the Nintendo DS. It was released worldwide. I liked how Octopath Traveler focused on certain characters and told their stories! 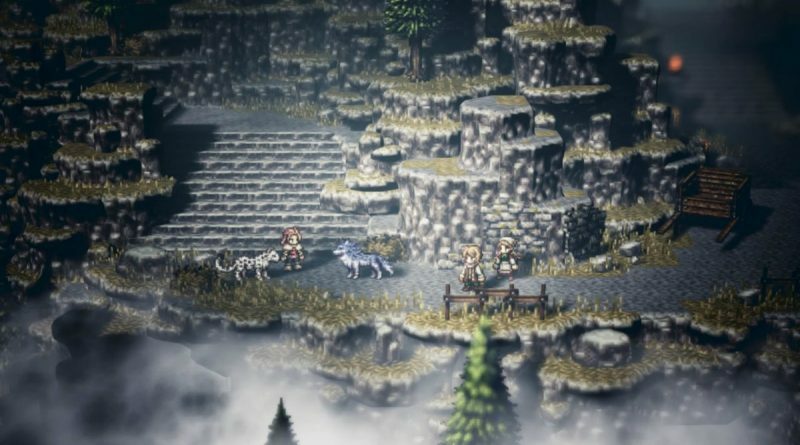 This element of Octopath Traveler calls back to the SaGa series. To be more specific, entries like Unlimited SaGa, SaGa: Scarlet Grace and the game I am going to recommend today, SaGa Frontier. There are seven different stories in SaGa Frontier, each one following a unique individual in a foreign land. You can follow a superhero known as Alkaiser (Red), the half-mystic Asellus, a new mage named Blue, a secret agent named Emelia, a bard named Lute, a beast-person named Riki and a robot named T260G. Events from one storyline can have an effect on others, and you might even see a character from one route appear in another. It is rather difficult to find SaGa Frontier now. It was released on the PlayStation in North America and Japan. If you have a Japanese PlayStation 3 account, you could find it on the PlayStation Store in Japan and play a digital copy on your system. I like those little conversations that pop up between characters during Octopath Traveler’s chapters! In Octopath Traveler, there are moments where you can watch a Travel Banter conversation between two of the heroes in the middle of the story. It is a fun way to see characters’ personalities. Did you like when that happened? Then you would love the Tales series’ skits! 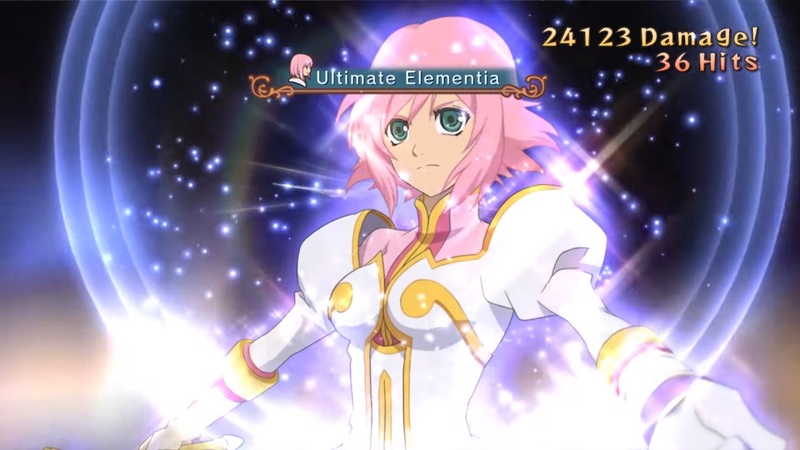 Tales of Vesperia: Definitive Edition is a major entry that has a party of colorful characters who will stop to talk to one another about things happening in the game. It is a lot of fun! And the new version of the entry we are getting will have more voicework and Patty Fleur as a new character, meaning there will be more to talk about! Tales of Vesperia is immediately available on the Xbox 360 worldwide and PlayStation 3 in Japan. In Winter 2018, it will be coming to the PlayStation 4, Switch, Xbox One and PC as Tales of Vesperia: Definitive Edition. Look, I just want another turn-based RPG for my Switch that sometimes feels like the ones we used to see in the SNES and PlayStation eras. The Switch is starting to get some RPGs, like Xenoblade Chronicles 2, Shining Resonance Refrain and Atelier Lydie & Suelle. 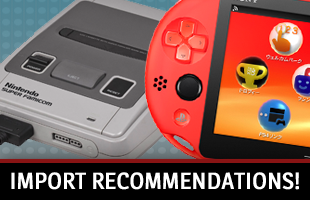 It does not have too many turn-based games with a retro feel just yet. The closest you could probably come is Lost Sphear. This is a spiritual successor to I am Setsuna that solves some of its predecessor’s issues regarding its characters, grinding issues and story. It is a turn-based game with four character parties and a hero who discovers he has the ability to restore people, places and things that are “lost” by getting memories from survivors to restore them. 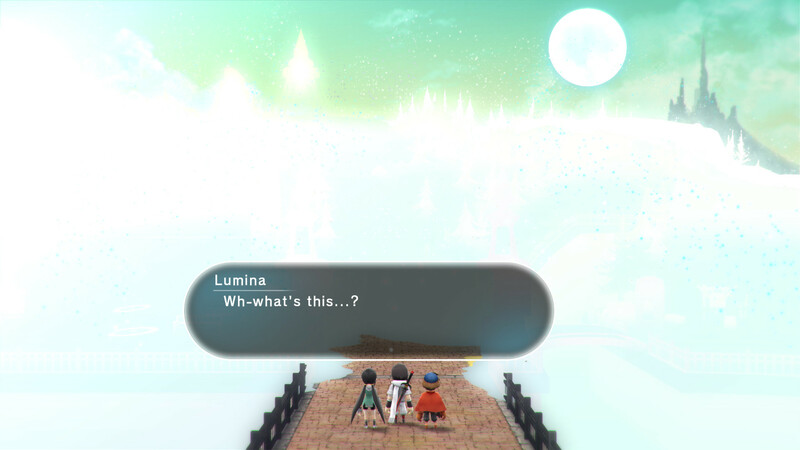 Lost Sphear is available for the Switch right now! Or, if you would prefer, you can find it on the PlayStation 4 and PC too.